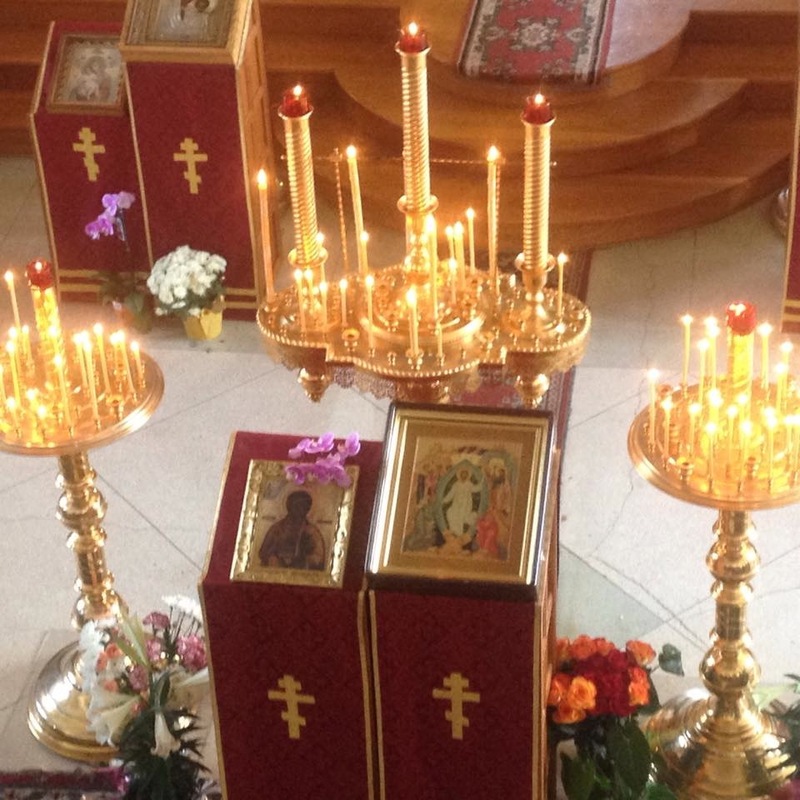 For the All-night Vigil and Divine Liturgy His Eminence served at the Holy Transfiguration Cathedral in Los Angeles. The Divine Services conveyed festivity and repentance at the same time. Archbishop Kyrill give a sermon that was eloquent and fitting for the Feast Day, speaking on the theme of the Sunday Gospel - Mark 10:32-45. Afterwards, His Eminence congratulated our Protodeacon Andre Karabokoff on his 17 year of service in the diaconate. Later that day the cathedral community held its Annual Parish Meeting presided by His Eminence. 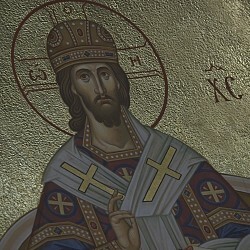 During meeting pertinent matters were resolved, and members of the Church Parish Council were elected for a new term. 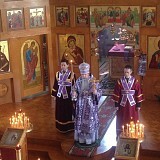 The following Monday, Archbishop Kyrill performed Unction at the sister parish of the Protection of the Holy Virgin in Hollywood. Many faithful of the greater Los Angeles area gathered and received the anointing through the Sacrament. The Archbishop’s presence in the Los Angeles area during these days was very beneficial and spiritually uplifting for the flock of Christ.